If you were wondering just how far my fangirl lovin’ for Mob Psycho 100 could go, then today’s new t-shirt design should probably act as a clue. Mob Psycho 100 is chocked full of oddities and secret hilarities that, when brought into an everyday conversation, can very easily identify who else has seen it. I’m talking Himalayan rock salt, Dimple, ochimusha, and, most significantly, the Body Improvement Club. 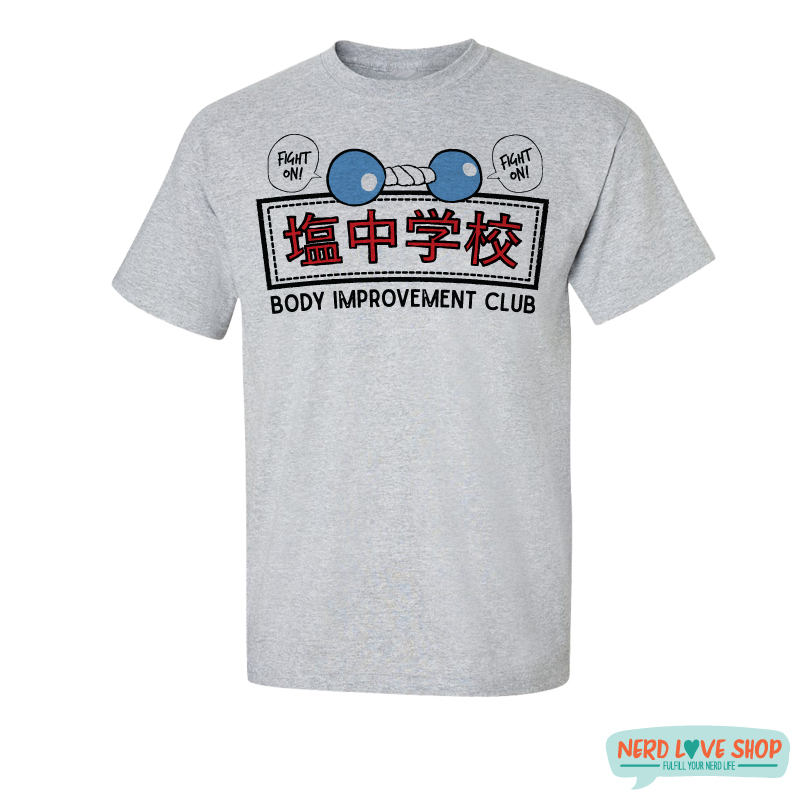 Possibly the greatest club to ever exist in anime and manga, the Body Improvement Club is exactly as its name implies: a club that focuses on bodily improvements. You know, like squats. So many squats. It is Mob’s desire to be noticed that drives him into joining the Body Improvement Club, in hopes of gaining some sort of physique. The current members of the club are intimidatingly stacked. I’m talking muscle head-to-head, stoic faces, and an unyielding desire for physical fitness. Yet, here comes Mob, who could possibly be described as a human noodle, and they accept him into the club wholeheartedly. This, my friends, is why we all love the Body Improvement Club. With consideration of the running theme of facades that I see when watching the show, the Body Improvement Club is perhaps the pinnacle of shedding that, enjoying who you are, and accepting others as they are as well. Mob joins the club with a desire to change, and although he’s seeking popularity, the club doesn’t look down on him for that. Rather, they encourage him as he works hard… and then take care of him when he passes out. If that’s not friendship, I don’t know what is! These guys are hardworking and crazily obsessed with getting buff. But really, it’s something you have to admire. A lot of us just aren’t brave enough to not only love what we love but also often find ourselves too afraid to give those things we enjoy the time they deserve. The Body Improvement Club does all these things and it also one of the funniest running gags of Mob Psycho 100, which is an achievement all on its own. For the past few weeks for Thursday Threads, I’ve been challenging myself to list at least one new t-shirt design for the blog post feature. 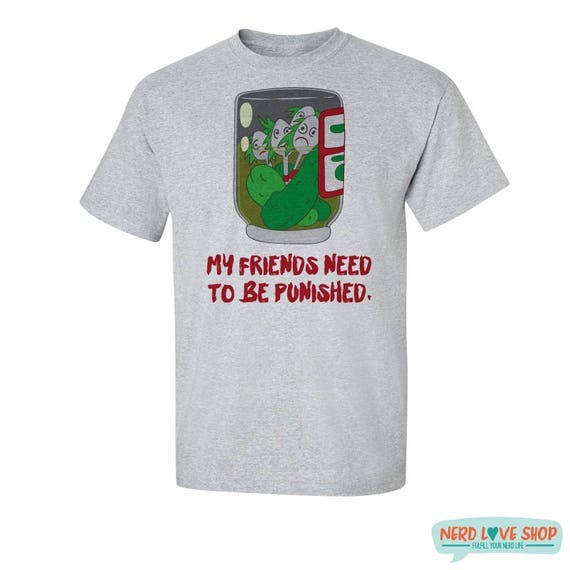 Considering my love of Mob in conjunction with my further adoration of the Body Improvement Club, this week’s t-shirt spotlight had to be related to that. I couldn’t help myself! Thus, my version of what the Body Improvement Club’s t-shirt would look like was born. Inspired by their iconic blue dumbells and their morning run chant, I was able to put together the ultimate club t-shirt for the club we all wish we could be a part of! “Salt Middle School” is scribed in Japanese with the “Body Improvement Club” title scrawled below. We offer this design in both women’s as well as adult unisex sizing, both shirt styles available in white as well as heather gray. 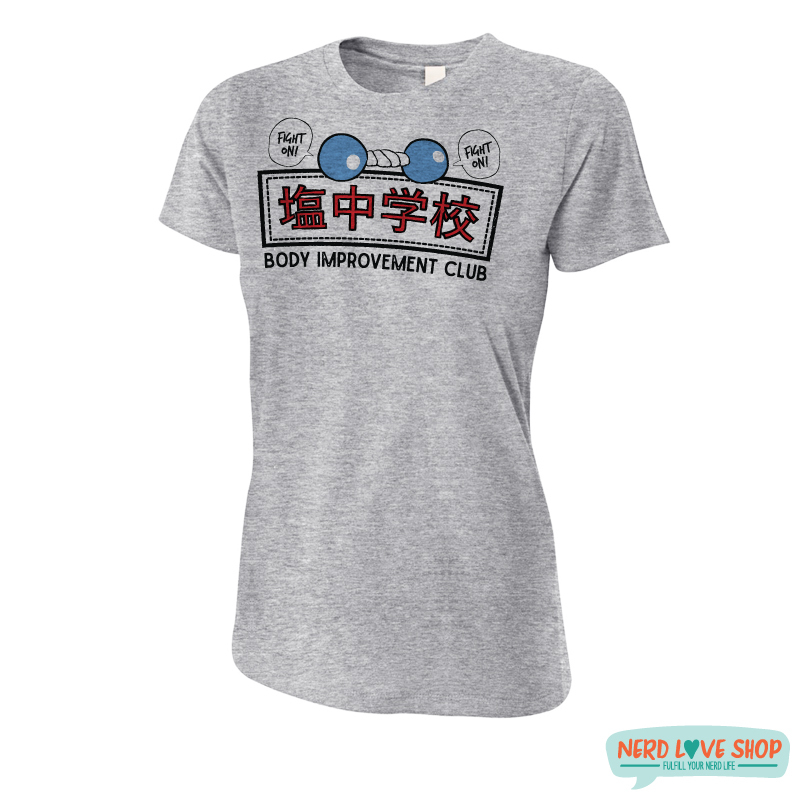 “Body Improvement Club” t-shirt in heather gray. “Body Improvement Club” t-shirt in white. Next Post Freebie Friday #31: Is Spider-Man Actually an Avenger?